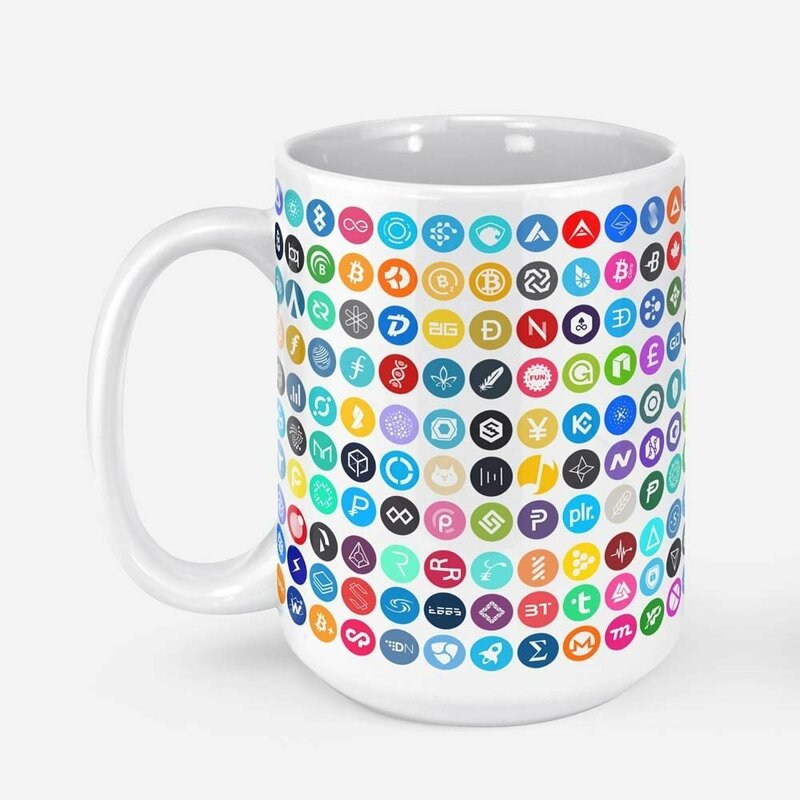 Mug featuring 230 of the most popular cryptocurrencies and their logo, flat design. Made specially for traders who don’t have weak hands. 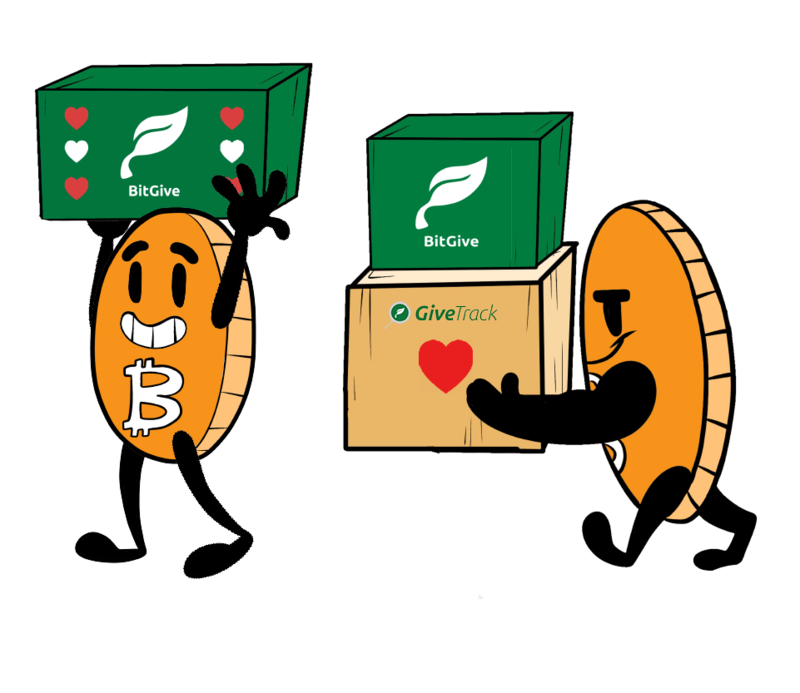 If you can guess most of the logos, you probably should take a break from crypto. We designed this mug specially for all of the crypto traders out there. We’re sure it’s not enough that you eat, breathe and sleep cryptocurrency. Make your day even more stressful by trying to memorize all of the coins featured on this mug. Enjoy your morning price checkups while sipping morning coffee. 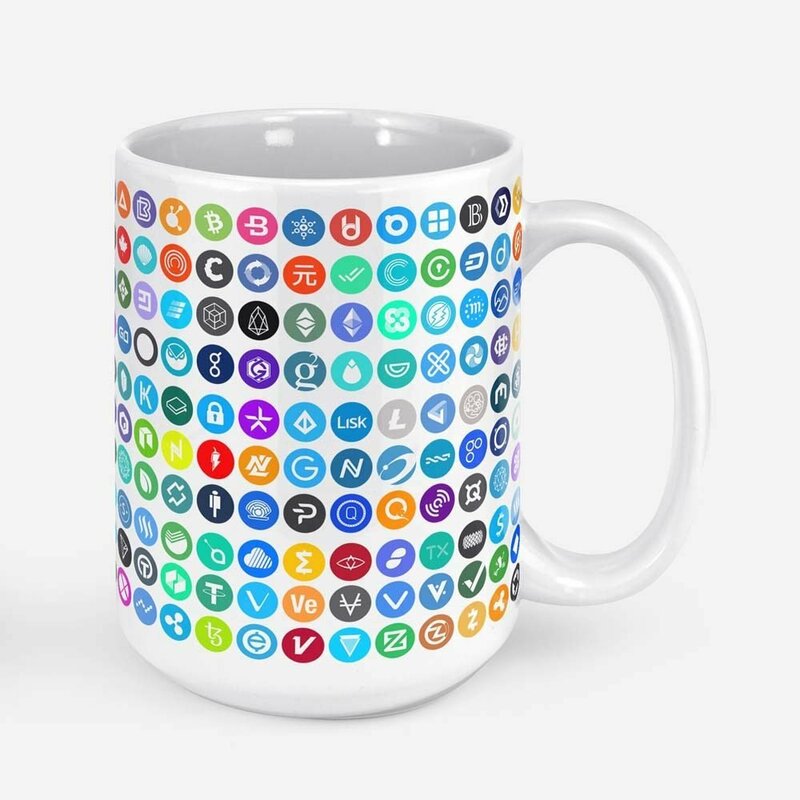 If you can guess most of the logos on the mug, you probably should take a break from crypto. Regardless, we hope your hands are not weak and wish you happy trading. Sturdy, glossy, big 15oz ceramic mug is available in two colors black and white. Diswasher and microwave safe. If you prefer black color mug, check it out here. Featuring 230 flat-designed logos and symbols of the most popular digital currencies out there. If you can guess most of them, you’re either crypto guru or just need to take a break from cryptocurrencies. Upon numerous request from Reddit community, multiple variants available! We are so humbled by the support Reddit community gave us. That’s why we’re launching few more variations of the mug. 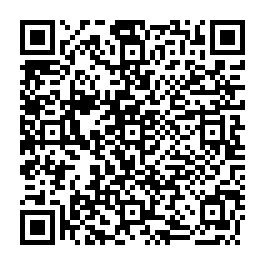 If you prefer Black version, check it out here. If you’re a minimalist, you’d appreciate our brand-new black and white or white and black designs. I wish the choice of courier can be end-to-end type with tracking number such as Fedex, DHL etc. I am willing to pay for better shipping. My coffee is infinitely more delicious now.